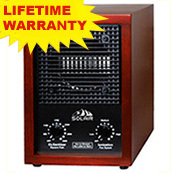 At Air Purifier Repair we want you to be 100% satisfied with your purchase. Our sincere goal is to provide an enjoyable shopping experience that encourages you to shop with us for years to come. On the occasion that you receive a product that you just don't like or that doesn't work for you for any reason, our experienced customer service staff is just a phone call away and will guide you through our easy return policy. At Air Purifier Repair we want you to get exactly what you want, and you can be sure you'll find the product that is right for you. Customer is eligible to return any item for any reason for a full refund as long as item is returned within 30 days of the original sales date and item is returned in the same brand new condition as it was received by the customer. We will inspect the item and issue a full refund as long as returned item is still in like-new condition, item is not missing any packaging, not missing any parts, does not appear used, has not been scratched, dirtied or damaged. Customer is required to contact us and get a return authorizaton before shipping the item(s) back to us. I have received my unit back and it works fantastic. I can't believe what a pleasure it has been to use your services. Do you sell refurbished unit as well? I will tell all my friends and family just how satisfied I am with your services as well as your com- munication with the customer throughout the process. Please feel free to use me as a referral any time. I am one very satisfied customer. 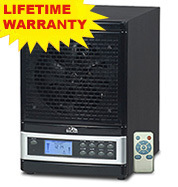 © 2016, AirPurifierRepair.com, Inc. Not all Air Purifiers pictured on this website are offered for sale. Many of the purifiers pictured serve only as illustrations of items our company is capable of repairing. 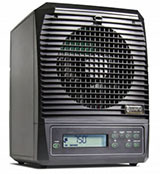 Not all air purifiers displayed on this web site should be construed as being offered for sale. All logos and trademarks depicted on this web site are properties of their respective owners.